Hold your friends close! 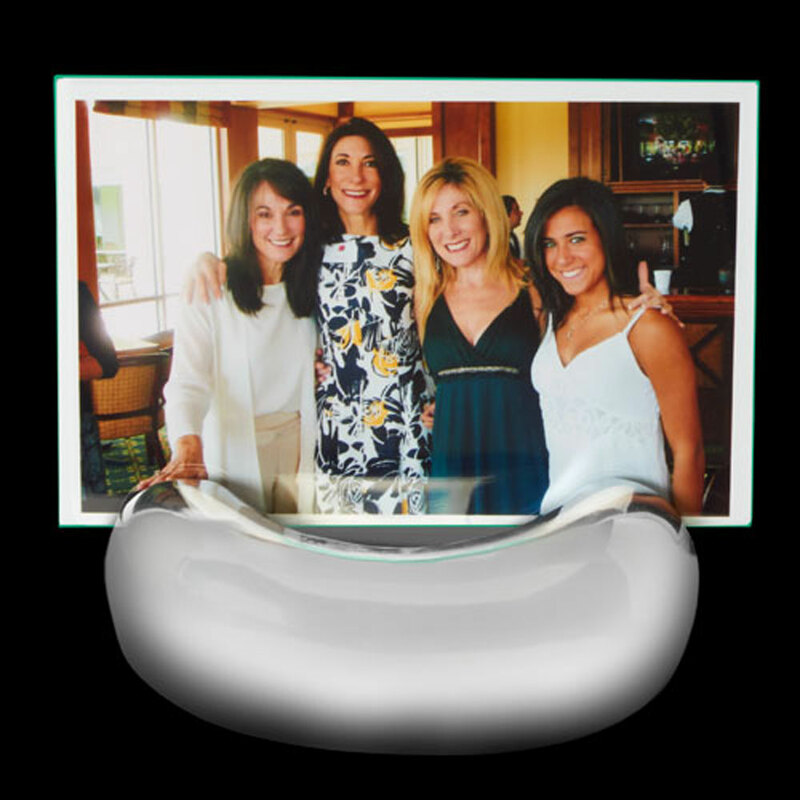 Our mini BFF frame holds two special 4" x 6" friendship pics back-to-back in a cool bean-shaped base. Handcrafted of food-safe polished aluminum. Two glass inserts included.